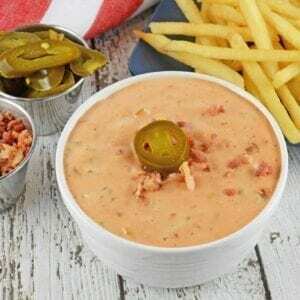 Bacon Jalapeno Fry Sauce is the best spicy dipping sauce for French Fries, hamburgers, hot dogs, onion rings and even deli sandwiches! Mix all ingredients in a medium bowl. Serve!